New home with builders warranty! Beautiful Ranch Style home with 3 bedrooms. The future owners of this home will enjoy a beautiful kitchen with a large center island, slab granite, stainless steel appliances including a designer hood and gas cooktop along with built in wall oven & microwave. Cozy up in the living room with the corner fireplace & natural light. Covered patio to enjoy all year long. 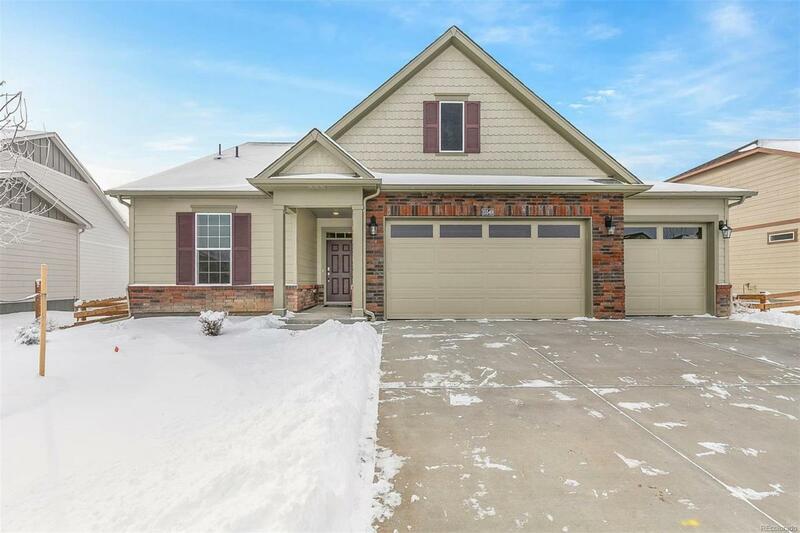 This home includes a fully fenced yard with front and backyard landscaping and irrigation system. Photos representative, not of actual home.